Zoo and Gor Mahia have disagreed over transfer of winger/striker Nicholas Kipkirui. 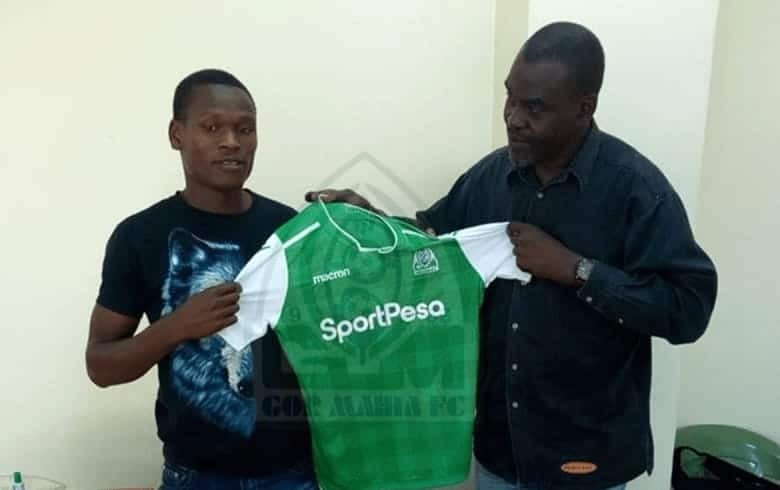 Kip was Friday unveiled as Gor’s player on a four-year-deal but Zoo’s boss Ken Ochieng’ maintains that the deal was done behind his back. The lawyer is now playing hard ball and is refusing to be “bullied” over a player he has natured over eight years. With Gor racing against time to beat Wednesday’s first deadline for registration of players for the CAF Champions League Kip could miss out as Zoo is yet to officially release him. “They can wait for his contract to run out at the end of the year so that they sign him as a free agent,” Ken said. An intermediary behind the deal is said to have pocketed Ksh400,000 from Gor with Zoo earning nothing. Ken disclosed that Zoo had agreed to sell Kip to Ulinzi Stars only to be shocked to read that the boy had signed with the reigning Kenyan Premier League champions. “It’s not professional. How will Ulinzi bosses take me?” he posed. Apart from playing for Zoo, the 31-year-old also worked at Ken’s law firm as a clerk.